A little Steampunk project that I did for The Rubber Cafe! Check out the post here! 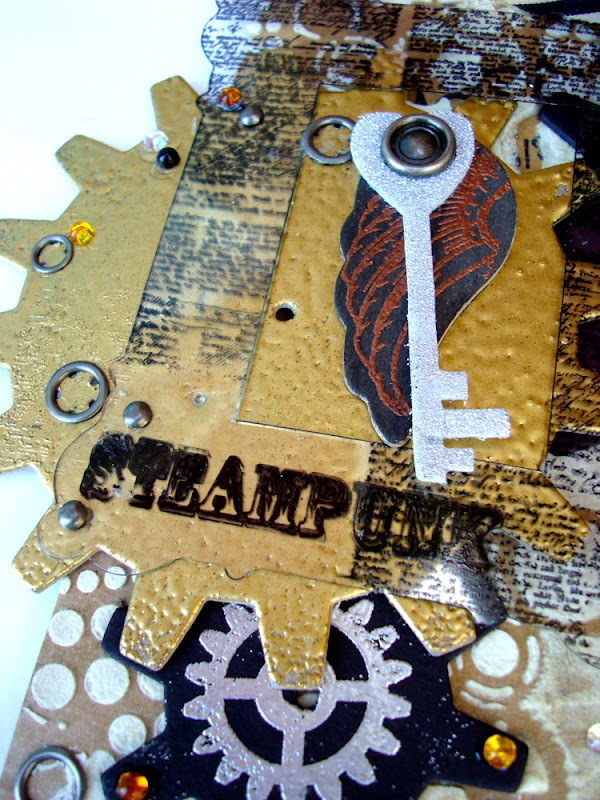 I used Basically Bare shapes and WOW Embossing powder to create the metallic effect. 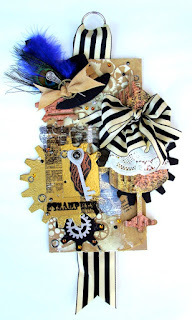 I love the May Arts ribbon with it's stunning stripes! 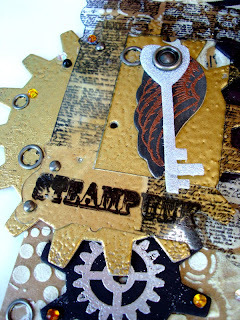 The Steampunk stamp set is one of my favorites from Rubber Cafe! Get it for yourself at The Rubber Cafe. I'll be back with more new projects soon!